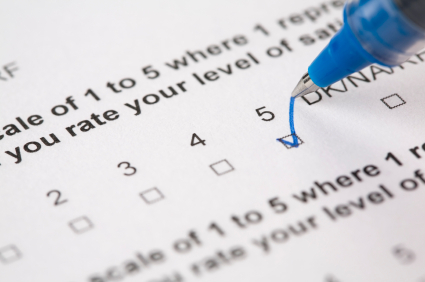 As an employee retention speaker and employee retention author, I see a lot of organizations doing employee engagement surveys. Then, they either take forever to roll out the results or don’t come up with a comprehensive plan to deal with the issues that were flagged in the engagement survey. Instead, they do something here and something there to deal with the issues. The result…they only get incremental improvement year after year. More importantly than that, their employees look and them and wonder if they really care about correcting problems that relate to employees. This employee retention trainer believes that as soon as you receive the results of your engagement survey, you need to develop a task force of key leaders to drive the process of correcting problem areas. An aggressive timeline needs to be established around what changes need to be made and when certain changes are going to take place. Setting the timeline puts you on record that you are going to act in a timely manner. This is crucial because then employees know you are serious about dealing with the issues that they brought up. It also puts the heat on task force members and leadership to actually do something! After you’ve established a schedule with the items that you are going to do to solve the problem, you need to tell your employees what those actions are. Instead, what most organizations do is to start to take certain actions and employees may…or may not…notice what is being done. Why not tell them? That way, employees can see that you are serious about taking action to address what was flagged in the engagement survey. Even if employees may not agree totally with what you are doing, they see an honest attempt on the part of leadership to address their concerns. That’s powerful. Most people don’t need to see perfection. What they need to see is an honest, good faith effort to address their concerns. As many of you who know me know, this employee retention consultant is not a huge believer in engagement surveys because we rely too heavily on them. It’s as if we wait for that yearly time to come around to take the pulse of our people. We should be taking the pulse every day! The engagement survey merely gives us a statistical way to see if we have made progress. If that’s the case, use it as a tool to drive progress. In order to do that you have to commit, communicate and ultimately, take action.